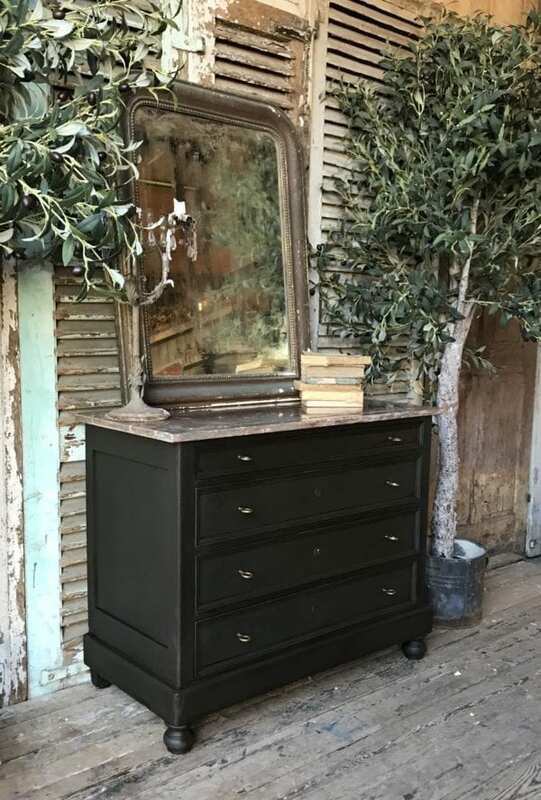 Handsome, hand painted, vintage French chest of drawers. Painted in Annie Sloan’s graphite chalkpaint then waxed to seal. Lovely marble top. Brass coloured ring handles. Measures approximately 100 w x 48 d x 80 h cms.